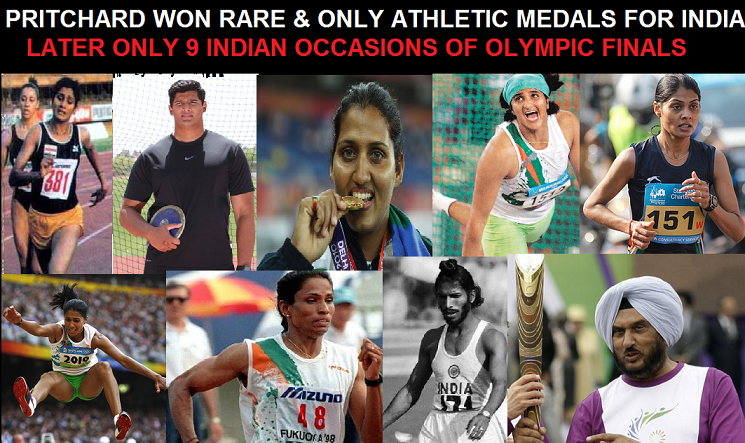 Athletics is the only Sports where India has sent athletes in every Olympics since its first participation in 1900 Olympics. Here is the complete record with details of every event and performance from 1900 Paris Olympics to 2016 Rio Olympics with names of all athletes and results. India was represented by lone athlete Norman Pritchard in five events.